Appleton Estate is one of the biggest names in rum. For over 265 years they have been producing rum of a superior quality, and when one thinks of Jamaican rum, Appleton is usually the first name that springs to mind. Appleton Estate rum is produced in one of Jamaica’s most picturesque and fertile sugar cane plantations, which spans over 11,000 acres and is surrounded by the outstandingly beautiful countryside of Nassau Valley. The nearby Black River provides the distillery with a source of limestone filtered water, and irrigates the cane fields. Jamaica has the perfect climate for growing cane, with both the humidity and the temperature ideal for cultivating the crop. Appleton Estate produces over 10 million litres of rum a year, and over 160 tons of sugar per day. Appleton Estate distils from molasses, and uses traditional methods to create their rum. This is demonstrated with their approach to fermentation: the distillery uses a yeast strain they have cultured themselves, and dilutes molasses with mineral water from their own in-house spring. They continue the practice of gathering cane by hand and machete, though some machines are now used. Whilst many other distilleries use column stills to create a cleaner, purer spirit, Appleton Estate continues to use the traditional pot-still method of distillation, that came to the island when the British colonised it (pot-stills are commonplace in the whisky industry). This style of distillation results in a more characterful and unique spirit, with a thicker mouthfeel, and produces small batch rums. Appleton mature their rum entirely in fresh American oak casks, giving the rum its typical vanilla notes, before a period of marrying, where rums of different styles and ages are married together. Thankfully for drinkers, all Appleton Estate rums follow the Scotch whisky style of age statement, whereby the age featured on the label is the youngest in the vatting. Despite their extremely long history and dedication to tradition, Appleton Estate are not afraid to move with the times. Their forward-thinking attitude was demonstrated by the appointment of Joy Spence, the only female master blender in the rum industry. Spence first joined Appleton Estate owners Wray and Nephew as a chemist in 1981. She held several positions inside the company before before rising to General Manager in 1996, adding the position of Chief Blender the year after. 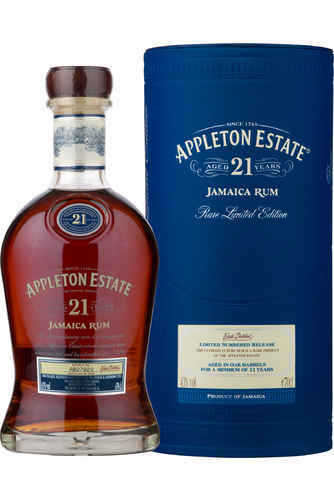 Jamaican rum is a key ingredient in multiple classic cocktails, and Appleton Estate is one of the finest examples of this style (with some sources suggesting it accounts for 90% of all Jamaican rum sales). Drinkers of Appleton Estate should expect notes of spicy chocolate, butterscotch and vanilla. The estate is gifted to Sir Francis Dickenson for his role in the English colonisation of Jamaica. First known rum production takes place on the estate. The estate is recorded as owned by Caleb and Ezekiel Dickenson, the grandsons of the original owner, Francis Dickenson. John Wray opens the Shakespeare Tavern in Kingston, which would later become Jamaica’s capital. Here he blended rums and produced his own spirit, to great acclaim. William Hill purchases Appleton Estate, taking it out of Dickenson hands for the first time in its nearly 200 year history. By this point the estate was cultivating about 17 acres for cane farming. John Wray recruits his nephew, Charles James Ward, to join the family business. Ward distinguishes himself as an entrepreneur, taking what was essentially a tavern business, and expanding it into one of the island’s greatest enterprises. The company went international and won awards across the world for their excellent spirits. Wray retires, and dies in 1870, leaving the business to Ward. Over 30,000 acres of cane were being cultivated on the island, with over 90% owned by estates such as Appleton, who ran their own mills and stills. 148 such distilleries existed at this time. A. McDowell Nathan acquires Appleton Estate. McDowell Nathan was one of Jamaica’s foremost merchants at the time, whilst the Appleton Estate had expanded to sugar cane farming around 56 acres. An earthquake strikes, and McDowell Nathan dies. Appleton Estate (now cultivating 200 acres of sugar cane) is leased by McDowell’s lawyer, J. M. Farquharson. Eventually, Farquharson purchased the estate and expanded it considerably. Ward dies, leaving his estate to trustees. J. Wray and Nephew is purchased by the Lindo brothers, who immediately bought the Appleton Estate land and distillery. The estate is expanded considerably under the Lindo brothers’ ownership, with the distillery and sugar factory both improved. They soon added state-of-the-art electric bottling and bottle washing facilities, and built two more warehouses for aging rum. At the dawn of World War II, only 25 distilleries remained upon the Island. Appleton Estate focuses its efforts on attempting to create a rum that can replicate the style and flavour of the best whiskies, as a bid to unlock the whisky-drinking market, and utilising their pot-stills to this end. Whisky was particularly hard to come by in Jamaica during the war, and the eventual product of the distillery’s experiments, Appleton Estate Special, was extremely popular. This bottling would become one of the distillery’s flagship offerings, and remains popular across the world. Percy Lindo’s children sold the business to a syndicate. This included memebers of the board at the Lascelles deMercado Group. The distillery opens its doors to the visiting public for the first time, building a visitor centre and offering tours around their extensive estate. The deMercado Group buys out the rest of the syndicate, and owns the J. Wray and Nephew business, including Appleton Estate, as a subsidiary. There are only around 10 distilleries left in Jamaica, of which Appleton Estate is the largest and most prestigious. Appleton Estate Special is remained Appleton Special, but its popularity continues to soar. Joy Spence becomes Master Blender, the first woman to hold this position in the rum industry. The distillery spends millions in investing in the factory and estate, expanding capacity and upgrading equipment. Meanwhile, the distillery releases Appleton Estate Extra 12 Year Old, a flagship bottling that contains rum aged for no less than 12 years. This year marks the 250th year of Appleton Estate, to celebrate the distillery releases as limited edition Appleton Estate 250th Anniversary Blend, which comes in a speciality decanter and was matured in Jack Daniel’s barrels. Appleton Estate passes the 1 million case sales a year threshold, and launches Appleton Estate Reserve Jamaica Rum, which again proves very successful. Another limited edition rum is launched by Appleton Estate, this time a luxuriously-presented 30-year-old Jamaica Rum. This blend of rums began by aging each constituent rum for 8 years separately, then marrying them together and maturing them for a further 22 years. The rum was bottled at a higher proof of 45% ABV. Gruppo Campari, the Italian spirits giants, purchases the deMercado Group, and consequently J. Wray and Nephew and Appleton Estate. The distillery also releases one of the oldest rums ever to be bottled. 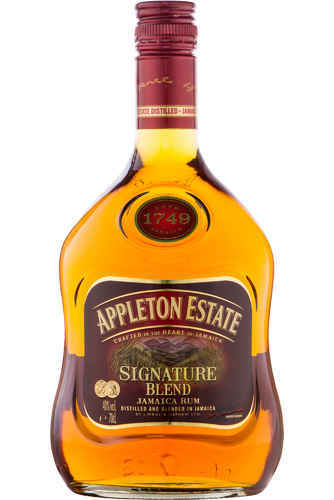 Appleton Estate 50 year old is released to mark the 50th anniversary of Jamaica’s Independence from the United Kingdom. The distillery had laid down casks in the year of independence particularly for this occasion, demonstrating tremendous foresight. The bottling was crafted using some of the oldest rums in the distillery’s stocks. Only 800 bottles were released, bottled in crystal decanters. Again demonstrating the distillery’s foresight, Appleton Estate holds a barrelling ceremony for Appleton Estate Jamaica Rum Prime Minister’s reserve. This is a rum that will be aged until 2062, the year of Jamaica’s centenary as an independent state. All of Jamaica’s living prime ministers were brought together for the ceremony, as well as representatives of those who had died. Each poured a bottle of the 50 year old into a barrel of the 2012 vintage, granting the 2062 hundredth anniversary bottling a direct link to rum laid down in the year of independence.